Franconia Conference’s own Krista Showalter Ehst, pastor at Alpha, reflects on John 3:31-36 in Advent day 20: Eternal Life enfleshed in Jesus, published by The Mennonite. Hear her take from her perspective as pastor and farmer at https://themennonite.org/advent-day-20/. A member at Methacton Mennonite Church, Tiana Martinez, was stirred to action by a sermon delivered by a guest speaker, Pastor Juan Marrero from Crossroads Community Center in Philadelphia, a ministry to those in recovery or recently released from prison who need a place to stay. Pastor Juan noted a need for blankets, and Tiana felt the Spirit’s nudge. She set a goal to donate 100 afghans to Crossroads by December 2015 thus launching, “One Stitch at a Time Ministry.” Tiana wondered is others across Franconia Conference would be interested in joining her in this endeavor. 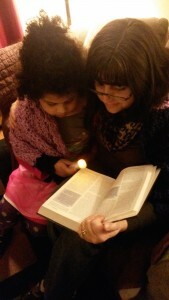 She contact her LEADership Minister, Jenifer Eriksen Morales, who helped Tiana connect with other congregations. So far, members of Methacton, Alpha, and Garden Chapel are working together to meet this goal. Participants were able to gather together to crochet and fellowship with each other, building relationships based in ministry between congregations. The Missional Operations Grant helped to cover the cost of yarn and other necessary supplies to support One Stitch at a Time. 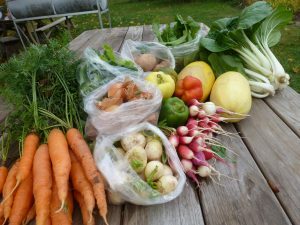 Peace Farm, a new voluntary service program born out of a collaborative effort between Quakers and Mennonites in Bally, Pennsylvania, will begin its inaugural season in May 2015. 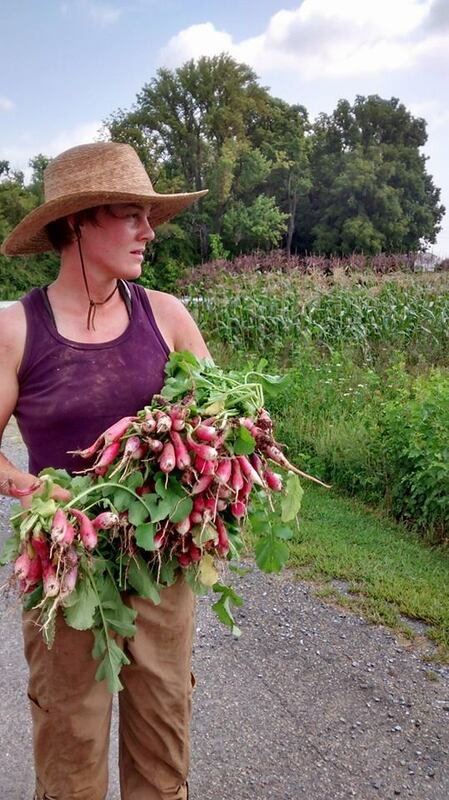 This six-month apprenticeship brings together the practical work of farming and an exploration of connections between peace, food justice and faith. 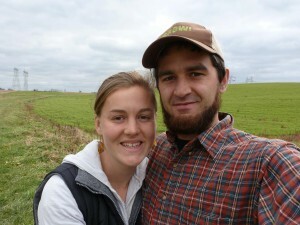 Farmers Krista and Tim Showalter Ehst are excited to see their dream for Peace Farm become a reality. Tim and Krista operate Valley Run CSA (community-supported agriculture), a diversified, sustainable farm in the Butter Valley of southeastern Pennsylvania, about an hour outside of Philadelphia. Along with other local farmers, they will host Peace Farm apprentices for the daily work of cultivating organic vegetables, raising pastured animals and helping with various other agricultural tasks. As part of the hands-on apprenticeships, the Showalter Ehsts will also facilitate ongoing reflections with participants about what it means to approach agriculture and land cultivation through the lens of faith. Themes within the Peace Farm curriculum address scarcity and abundance, food deserts, migrant farm labor, sustainable living and rest, and agricultural practices as a form of peacemaking. The Showalter Ehsts are not your average Mennonite farmers. Their journey toward this vocation and lifestyle began at Goshen College, where they studied theology and began learning about food production and distribution in the United States and abroad. Neither of them grew up farming, although Krista was raised in a 200-year-old farmhouse on 80 acres of Pennsylvania farmland, and Tim grew up in rural Virginia, outside of Harrisonburg. While at Goshen College and reading authors such as Wendell Berry, Michael Pollan, Vandana Shiva, and the like, the two decided to pursue a farming apprenticeship in Kentucky upon graduation. They’ve been interested in this type of work ever since. 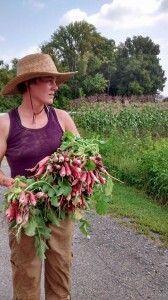 Bounty at Valley Run CSA. Krista earned a Master of Divinity at Candler School of Theology at Emory University in Atlanta, while Tim helped start Oakleaf Mennonite Farm, a diverse urban farm on the six-acre property of Berea Mennonite Church, also in Atlanta. After getting the farm off to a good start, Tim took a position as interim director for DOOR (Discovering Opportunities for Outreach and Reflection) Atlanta, which is affiliated with Mennonite Mission Network. It was while Tim was at DOOR, working closely with young adult volunteers, that the dream for a faith- and farm-based voluntary experience began to take root. It wasn’t long before this dream began to germinate. 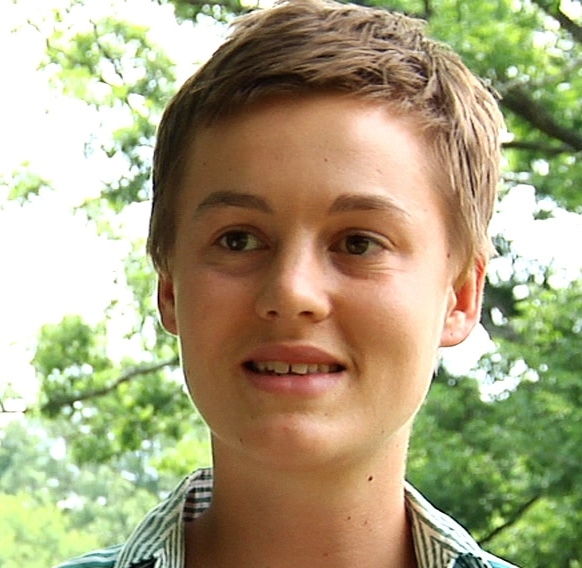 After moving back to Krista’s family farm in Pennsylvania and starting up a successful CSA (a cooperative farm where members help with start-up and operating costs in exchange for food), they began to brainstorm with Christina Repoley, one of Krista’s seminary friends who also directs Quaker Voluntary Service. Then Glenn Balzer, director of DOOR, joined the conversation. Quaker Voluntary Service and the DOOR program have signed on as program partners. The Showalter Ehsts also received a grant from the Fund for Theological Education that helped finance the development of the program. “We began to imagine what it would look like for these peace churches to develop a program that centered on sustainable agriculture and food justice,” says Krista. The inaugural season of Peace Farm will begin in May 2015. The experience is based on the rhythms of the farming year, so while most voluntary service programs start in August or September, Peace Farm will begin in late May. By the time they leave at the end of November, apprentices will have experienced not only the ins and outs of a sustainable farm, but will have engaged in essential conversations about how spirituality and faith commitments can inform a healthier relationship with the land. This piece originally appeared as part of Mennonite Church USA’s #WeAreMenno series. Reprinted with permission. I recognized the prayer shawl. Michelle and her family had a difficult year. In December I invited her to join me in attending Souderton Mennonite Church’s longest night service for those experiencing loss and pain. During that service, Michelle received anointing, prayer, and the shawl from pastors Sandy Drescher-Lehman and Tami Good. As Michelle gathered for worship in our “home church” that evening, I felt incredibly grateful to the women in Souderton Mennonite’s prayer shawl ministry who blessed my friend by gifting their time and hands to lovingly and prayerfully crochet these shawls, a source of art, beauty and comfort. I wondered if the creators had any idea how many lives and hearts they warm. Michelle and her niece, Sage, read the Bible wrapped in God’s love together at a recent Kairos Community gathering. I never learned to sew. My grandmothers tried to teach me to knit and crochet. Those lessons didn’t go well. But even someone with clumsy hands can admire the quilts, wall hangings, embroidery and wide assortment of cloth items produced by Mennonite women and a few men. Quilting and sewing is a colorful piece of our rich heritage. Although not a part of my personal experience, I feel a sense of loss when, in my work with congregations, I hear that quilting and sewing circles are declining in number. I understand the core of these gatherings to have been a time of fellowship, community building, prayer and ministry. Items made were donated to those in need, given as gifts by the congregation or sold at auction to raise money for mission and ministry. Yet, recently I have come to realize the Spirit is knitting something new but perhaps not all that different into being. I was thrilled to receive an e-mail from Tiana Martinez, a member of Methacton Mennonite Church. Tiana was stirred to action by a sermon delivered by guest speaker, Pastor Juan Marrero from Crossroads Community Center in Philadelphia. Crossroads provides safe and educational space for children and youth, but also has a food assistance program and a thriving prison ministry, which has given birth to a new congregation, Christ Centered Church, attended by many ex-offenders and their families. Pastor Juan noted a need for blankets, and Tiana felt the Spirit’s nudge. She set a goal to donate 100 afghans to Crossroads by December 2015, thus launching “One Stitch at a Time Ministry.” Tiana wondered if others across Franconia Conference would be interested in joining her in this endeavor. So far, members of Methacton, Alpha, and Garden Chapel are working together to meet this goal. Plans are being made for participants to gather together to crochet and fellowship with each other, building relationships based in ministry between congregations. Tiana’s email opened my eyes. I realized there are a number of people across Franconia Conference who knit and crochet. Some congregations have an established and growing knit/crochet ministry, where people gather together to crochet blankets, prayer shawls, hats and scarves. The soft, warm, brilliantly colored items are donated to those in need or given as gifts from the congregation to newborns, people in the hospital or as lap blankets for the elderly. In fact, Souderton Mennonite gifted me with a prayer shawl for my ordination. Often, the teams of people who create these gifts spend time praying together in advance for those who will receive them. Though the products are different, it seems to me, the crochet/knit ministries and sewing circles share the same core values of ministry, prayer, and fellowship. A funny thing happened when I told some people in a congregation about Tiana’s ministry. A woman piped up, “I don’t knit or crochet, but I can quilt and knot, would that be helpful?” Of course! If you’re interested in getting involved, Tiana Martinez invites individuals and congregations to help share God’s love “One Stitch at a Time” by crocheting or knitting afghans or donating any color 4-ply yarn. For more information please contact Tiana: tmartinez65@gmail.com. Jenifer Eriksen Morales is the minister of transitional ministries and LEADership minister with Franconia Mennonite Conference. In many ways, it’s easy to imagine myself in the shoes of one of those peers, to come up with a list of reasons for not being part of the church. Many churches are dwindling, and it’s sometimes hard to tell how a church serves people any better than a social club or community center. Even where churches are thriving, they have this persnickety way of wounding people rather than extending a healing touch. Churches have messed up many times and in many ways throughout the years, and it is understandable that some people need to simply walk away. But I find myself firmly rooted in the church, even choosing a vocation of church leadership, and I wonder just what it is that has brought me to this place. I have certainly not been blind to the ways that church has wounded people, the ways that it is been complicit in injustice. I’ve seen up close and from afar the brokenness and failings of churches. And yet at the end of the day it doesn’t come down to looking at a list of pros and cons and deciding which outweighs the other. The failures persist even while grace abounds. Transformation occurs even while brokenness persists. It is one of the most wonderful and most irritating parts of our faith journey. We experience true tastes of God’s love and grace, and yet we continue to experience and confront the places where God’s kin-dom has not yet become reality. It is, in fact, both the places of “now” and “not yet” that keep me in the church. The “nows,” the times when I see someone receiving healing through their church family or when I myself experience transformation through the community of faith, inspire and energize me. And the “not yets,” the painful moments of witnessing exclusion or becoming entrenched in church conflict—these moments push me to keep struggling, to keep praying, and to keep working on behalf of God’s kin-dom. “Well,” I might say, “Come and see.” Because it is only in experiencing small-yet-profound tastes of a kin-dom where God’s love abounds and all find wholeness that we can muster the patience to wait for that kin-dom to be realized in full. My calling into ministry did not come in a crystal-clear “Aha!” moment. I have friends and former seminary classmates who knew they were going to be a minister since the age of 12, or who experienced a distinct “burning bush” calling from God. I, on the other hand, grew up wanting—at different points but with equal fervor—to be a veterinarian, author, and Broadway star. I am none of those things today, and looking back, what stands out from those varied aspirations is an underlying but consistent curiosity about the Bible and faith and a deep connection to the life of the church. I grew up at Perkasie Mennonite and was blessed with the examples of strong women pastors and with the affirmations of a warm church community. From a young age, I was encouraged to use my gifts in church and was also encouraged to bring my questions and uncertainties to the table. I have heard many stories of people who have been deeply wounded by church, and I am grateful that I was raised in such a safe, nurturing, and affirming community. I received some encouragement from my church community and from high school teachers to consider ministry, but at the time it didn’t seem a very attractive option. While studying at Goshen College, however, that consistent curiosity that followed me throughout childhood led me into Bible and theology classes. I was so energized by studying Scripture and by learning about different theological perspectives. I recognized that what fed me the most was not my theater or music theory classes, but was engaging these questions of faith and of the church. I spent a summer during college as an intern in a small Mennonite church in Florida, and recognized that not only am I energized by questions of faith, but that many of my gifts are well suited to ministry. I slowly began to open myself to the idea of pastoral ministry, although it still seemed like a far-off possibility. 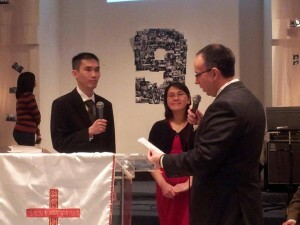 Krista’s licensing at Alpha congregation. After college, I spent about six months in the United Kingdom working with the Anabaptist Network, on behalf of Franconia Conference. It was there, while taking part in a small, urban house church, that I decided to take the next step and apply to seminary, and my husband and I ended up in Atlanta for three years while I studied at Candler School of Theology. It was a wonderful place to gain both head and on-the-ground knowledge, and also a good place to integrate my passions for church ministry and sustainability. Even while in seminary, however, I didn’t really think I’d be a pastor any time soon. I felt too young, too inexperienced. And yet here I am, not yet 30 and serving as a pastor of a small Mennonite congregation while also farming alongside my husband. The call is not what I thought it would be, and I imagine it will continue to take surprising and unexpected shapes as I continue on the road. Alpha Mennonite Church began as a church plant in 1975 by Henry Swartley. We are located in the quiet little community of Alpha, NJ. Since the beginning, our congregation has been a mixture of people from different backgrounds, perspectives, and theologies who have gathered together in our common love of Jesus Christ our Lord and Savior. We are a small congregation with a family feel who welcomes all who God brings through our doors. In this spirit, we seek to experience the full richness of Christ’s body in our life and ministry with everyone who freely desires to join us in our Christian walk. We look forward to the future, hopeful of what God has in store for us as individuals and a church body. Our leadership is composed of a Congregational Ministry Team consisting of Worship, Mission and Outreach, Discipleship and Nurture, Stewardship and Administration. You can read more about Alpha on our webpage at www.alphamenno.com or on Facebook. We invite you to join us to worship God in our welcoming fellowship. We took action to grant a specific license to Tim Hart to serve as pastor of revitalization for Garden Chapel. 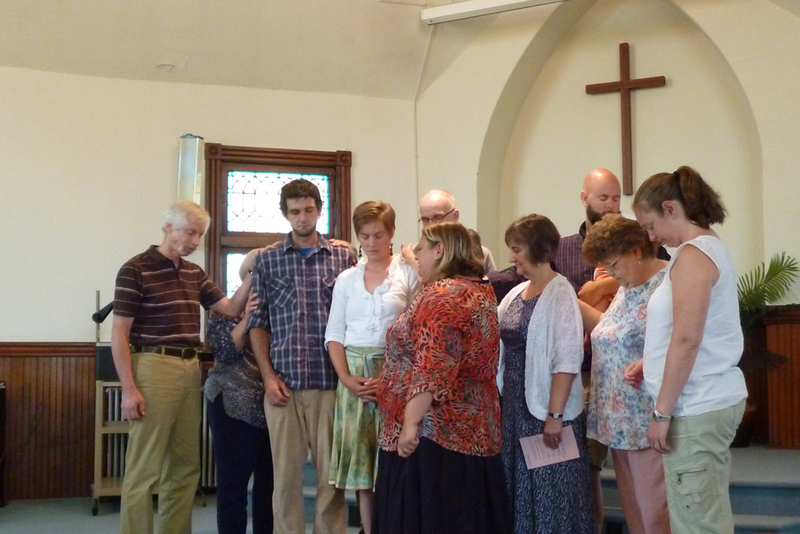 We approved ordination for Emily Ralph from the Salford congregation who has been called to an associate pastor position at Sunnyside in Lancaster. 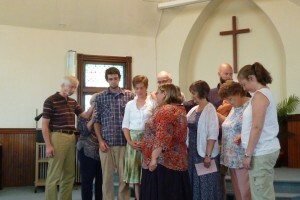 We granted a license toward ordination to Tami Good who is serving as minister of worship and music at Souderton. Arnold Derstine and Mike Ford have resigned from the pastoral team at Franconia. Blooming Glen has hired Mike Ford as youth pastor. Frederick and Lakeview are seeking interim pastoral leadership. 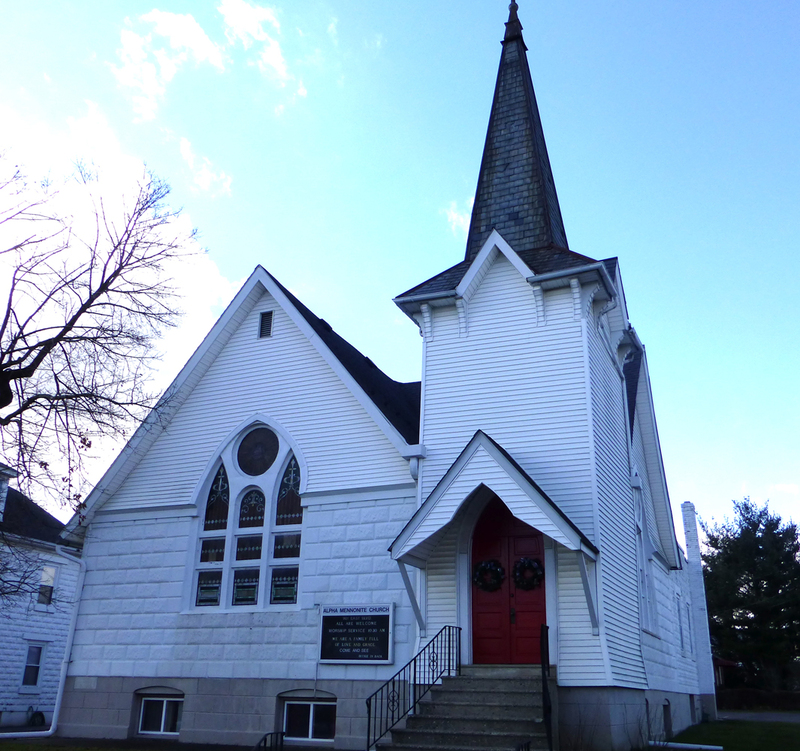 Perkiomenville is seeking an associate pastor and Alpha and Taftsville congregations are looking for pastoral leadership.